Dragon Ball FighterZ Review - Strike That Pose! My appreciation for Dragon Ball has never left me. As a kid, I’d be caught watching episodes with friends or bugging my parents to buy action figures. Dragon Ball was one of my earliest exposures to anime, and I still remember how I felt when I witnessed Goku’s demise the first time. The series was a part of my childhood, and even as an adult, I’m still checking out the series’ continuation, Dragon Ball Super. 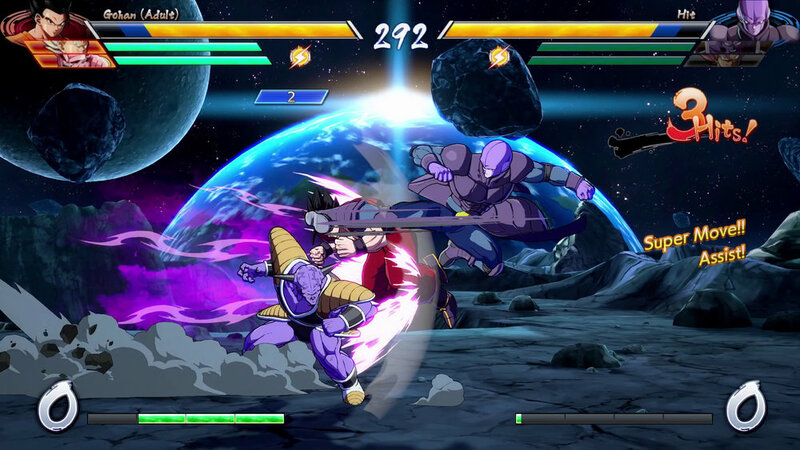 There have been many Dragon Ball fighting games in the past, but Developer System Arc Works has done well in producing a high-quality fighting game that will satisfy not only veteran fighting game enthusiasts, but Dragon Ball fans as well. 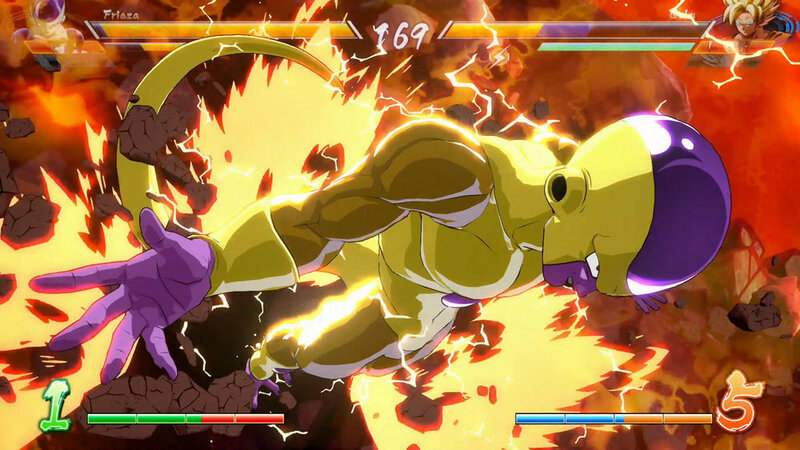 Dragon Ball FighterZ has all the bells and whistles you’d expect in a fighting game. 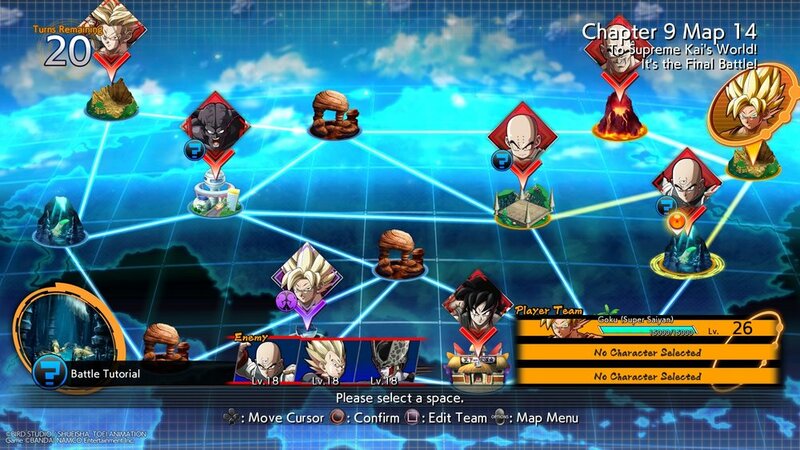 You are first thrown into a lobby where you can move around small chibi versions of Dragon Ball fighters, interacting with nearby NPCs to access different game modes. There’s local battles, arcade mode, replay mode, training (complete with character challenges), and a lengthy story mode which took me roughly 10 hours to complete. I tackled the story mode first, and it felt like the perfect introduction to the game, since you to get to play a variety of characters. There are three story arcs that provide different versions of the story they are trying to tell, with each arc led by a different batch of fighters. One is led by Goku in the Super Warriors arc, one is led by the notorious Frieza in the Enemy Warrior arc, and the last by Android 18 in the Android 21 arc. Each of these arcs tells a different version of the overall story and revolves around new character Android 21 and the mysterious energy waves that weirdly affect only the strongest fighters on Earth. Clones of Dragon Ball heroes and villains start showing up, and thanks to these waves, the only way you can fight them is by being linked with another soul. Essentially, you, the player, are this soul, and you have to link to different characters so that they can use their powers. It’s pretty silly, really, but Dragon Ball never took itself too seriously. In fact, as you go through the story, you’ll start to feel like you’re in episodes of Dragon Ball Super. All the characters were well-animated and seamlessly interact with one another, and all the original voice actors seem to be involved in this game. With old and new characters meeting up for the first time, it was a bit nostalgic and entertaining, like how you see Cell talking to Gohan all grown up or Frieza having no recollection of who Nappa was, but wanting his full allegiance to his cause anyways. The character interactions were the driving force that kept me active during all three arcs. The fights required to progress in the story were fun during the first 5 hours or so, but they began to feel like fodder, especially once I understood fully how to properly use the game’s mechanics. You unlock other characters to play as you move along in story mode, and you’re rewarded with equippable abilities that boost your character’s stats. These boosters were mostly useless, and are more of an afterthought to give the impression that you’re customizing your characters. In the end, it was so pointless that I just equipped all three slots with the ability to earn more Zeni per match. Characters level up, and the levels just determine the life and damage they deal. If you know how to use a low level character, you’ll still have the potential to beat enemies 10 to 20 levels higher. The gameplay is ideal. It’s probably the easiest fighting game to pick up right now, but with enough mechanics to really push those that want to master it. There are decent combos that are done by simply mashing one attack button, and more optimal ones if you aim to play the game at a higher level. This is a three-on-three fighting game, so character synergy is important. Characters on the side can support through assist attacks, and you can switch characters mid-combo or follow up a super with another super. It’s entertaining to watch with all the Ki blasts and properly animated supers, and isn’t hard to follow if you are the one playing. The roster on release has 24 characters, each with unique movesets. The fun part will be you finding your team, trying the different characters and finding the synergy between those you find interesting to use. There are simple characters to pick up, like Goku, and more intricate characters, like Hit. It’s too soon to see if System Arc Works has properly balanced the game on release, but so far, it’s a diverse cast that covers all the bases in terms of variety in playstyles. There’s a lot of mechanics in this game that could go unnoticed the first time around. During a match, you can collect the Dragon Balls if either player meets certain requirements. I’m not sure the full details of how each one unlocks, but I was able to do it once, and it essentially gives a player a big advantage that could turn the tide. Another mechanic is the Sparkling Blast, a boost you can give one character once per match for a limited time. This is considered the comeback feature in the game, as it boosts the speed and damage of the character and regenerates life. There’s a form of loot boxes here, but they’re nothing to worry about on release, since they currently contain titles, lobby characters, and character colors - pretty much cosmetic stuff. They are pretty generous about it actually, since I’ve opened a lot of these Z capsules in batches of 10. You use the in-game currency Zeni, and you earn them for each match you finish, even in local battles. The store available now is a place to dump your earnings, and further time will tell how Bandai Namco and System Arc Works will make use of the system they have in place. There’s also the chance to trigger special character intros before a match, or Dramatic Finish scenes that end the match with an iconic scene from the anime. You have to meet certain criteria to make them happen. For example, if you are on a specific stage with Teen Gohan vs Cell and Teen Gohan gets the final hit on Cell to win the match, you’ll be rewarded with a recreation of the epic moment straight from the anime. It’s proper use of the source material and it’s a good touch to cater to the fans of the series. Online works surprisingly well compared to its rough performance during Open Beta. Matches are smooth with proper connection between players across casual and ranked modes. Ring Matches is a feature we did not see during the beta phases and it's your way of creating private matches with a friend or a specific player. They also have Arena Matches, which allows players to casually play with those inside their lobby. This is a bit more problematic since there's no filter for Arena to check if the two players currently playing will be met with connection issues. All in all, it looks like System Arc Works has resolved their server kinks just in time for full launch and I actually prefer navigating with my chib-like Dragon Ball character through all the game modes instead of going through a series of user interface menus. What I appreciate the most out of this fighting game is its simplicity. 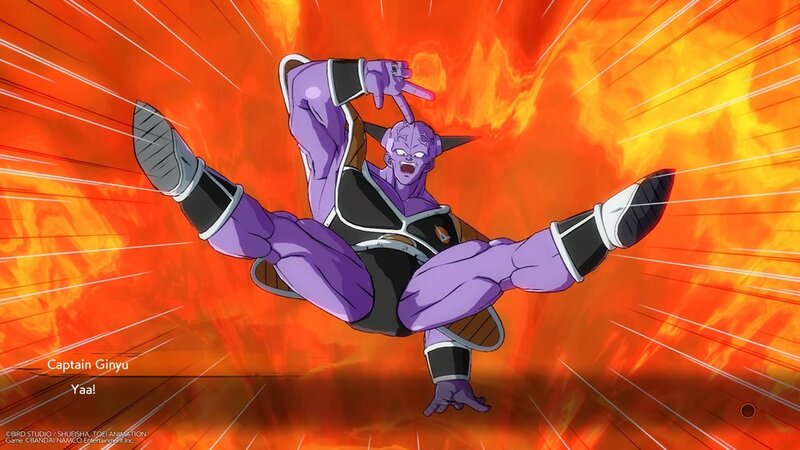 Even after hours of playing through the story and spending time in training mode practicing my characters of choice (Krillin main), I made my 11-year old nephew play the game with me, and even he found it easy to pick up. I saw myself not taking the match too lightly, because characters can go down pretty quickly if you are not careful. I had a lot of fun playing with my nephew, and he got interested in how to do a dragon rush and how to instantly teleport to hit people on the other side. Sure, that’s a kid’s curiosity, but the beauty of Dragon Ball FighterZ is that he didn’t need to learn those advanced moves, since he was doing just fine pressing all the buttons, and looking and feeling cool while doing it. Fans of Dragon Ball will appreciate what System Arc Works has released. It’s a fighting game that’s perfect for all ages and has enough depth to make a splash in the fighting game community.